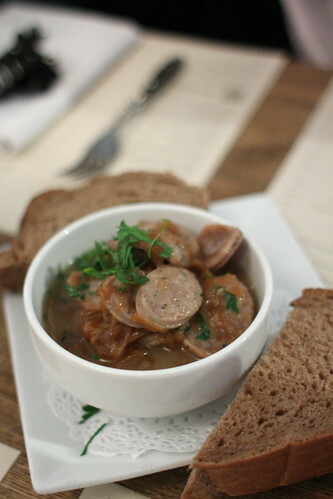 Next was the beer sausage! If you don't know, I love sausages, any sort of sausages that is The sausage was good as in many sausages but the highlights must be the soup which we almost soaked cleaned with the bread provided. Slightly salty but savory enough to stimulate the urge to have more! All of us ordered the mussels but of different variations, 1/2 kg EACH! 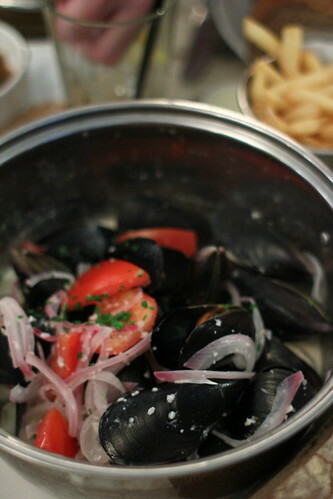 The Frites House Mussels and my Mariniere which was steamed with White wine, celery, garlic and mixed herbs were thumbs up! While the sauce / soup I had was not overly creamy, the flavors of the garlic together with the herbs gave the soup an extra degree of sweetness to it in my opinion. I almost cleaned the whole pot! 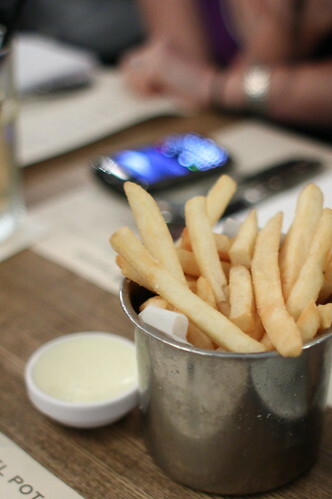 Fries with Mayo! Enough said. 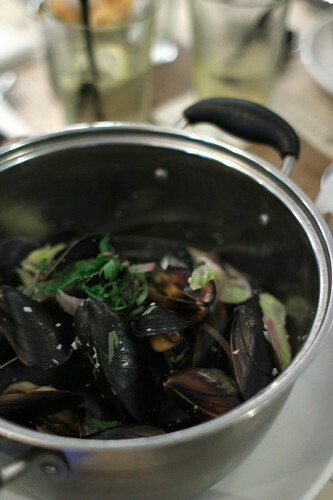 Mussels - relatively fresh but the highlight has to be the soup! At least for my Mariniere. I saw that the rest my friends were trying to clean the pot, some even wanted to drink it right from the pot without a spoon so I guess it is worth trying other flavors. the place can get quite loud during peak hours, prepare to yell in some cases. 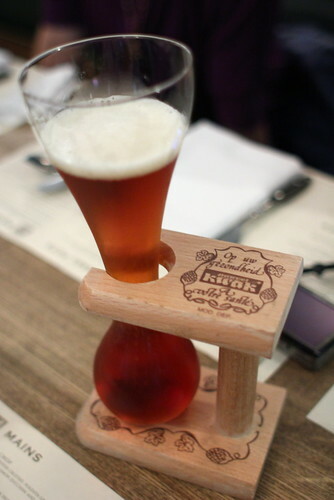 Kwak Beer! 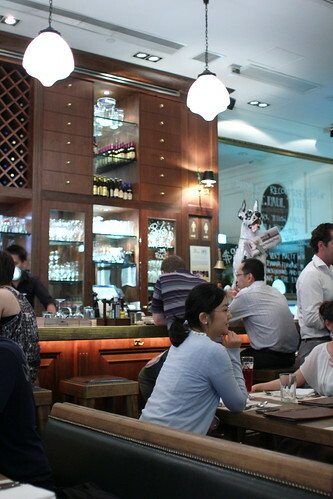 I have had similar beer (and setup) at Inn Side Out at Causeway Bay. It is an interesting experience, and I had wanted to get it for my friend on my following visit but I forgot the name of the beer. Now I know; just remember the sound! $75+10% for a 330ml Kwak! Wow, you must have money to burn. You can get the same stuff for about half that price in a relaxed waterfront environment at Groucho's in Stanley. @smogsblog: thanks for the info for sure. If I have known that it can be found at Groucho I would not have ordered it. Good that I know now :) ... Thanks! Jason, please go down to Grouchos to have a Kwak and a hot dog and let us know what you think of the place. 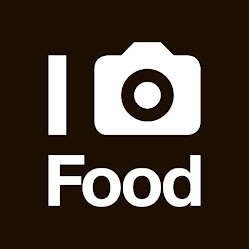 Have heard their Kwak is crazy cheap, and the food has thumbs ups on Openrice. i think the reason behind the kind of glass and the holder is .. according to what i have been told is in the old days when people were driving and drinking that glass would be shaking and the beer would split out from it so to get rid of splitting the beer from the glass while driving they make the wooden stand to hold the glass..